This is one of my all-time favourite meals. Comfort food to the very definition and so delicious! Fear not the meatball—just follow the recipe for my “no fuss no muss” meatballs and all you have to do is make the 3 ingredient sauce and cook some noodles! This is always on my farming meals menu when I’m cooking for the whole crew. If you’re cooking for a large group 6+ people, you will use all the meatballs and just double the sauce recipe and cook a whole package of noodles. 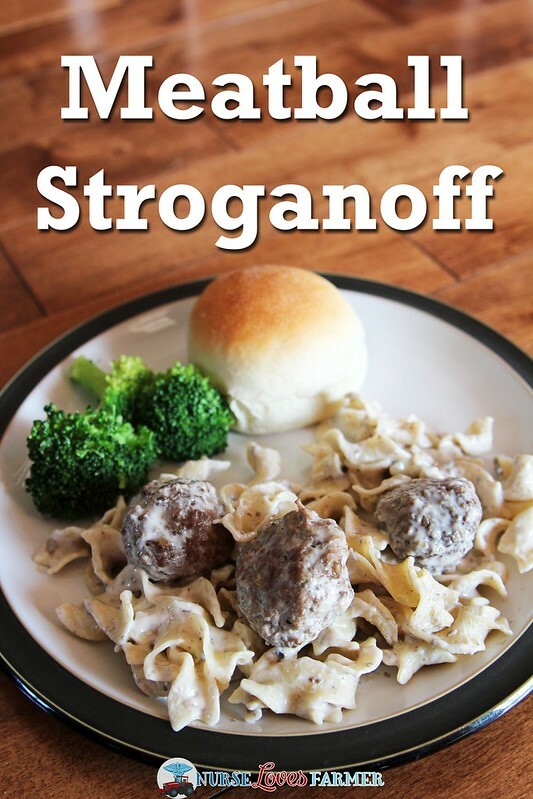 If you are cooking for a smaller group, freeze 1/2 of the meatballs and cook 1 recipe of sauce and 1/2 a package of egg noodles. All you do is make your meatballs, and then make your sauce by putting your sour cream, water and mushroom soup in a sauce pan to heat through. 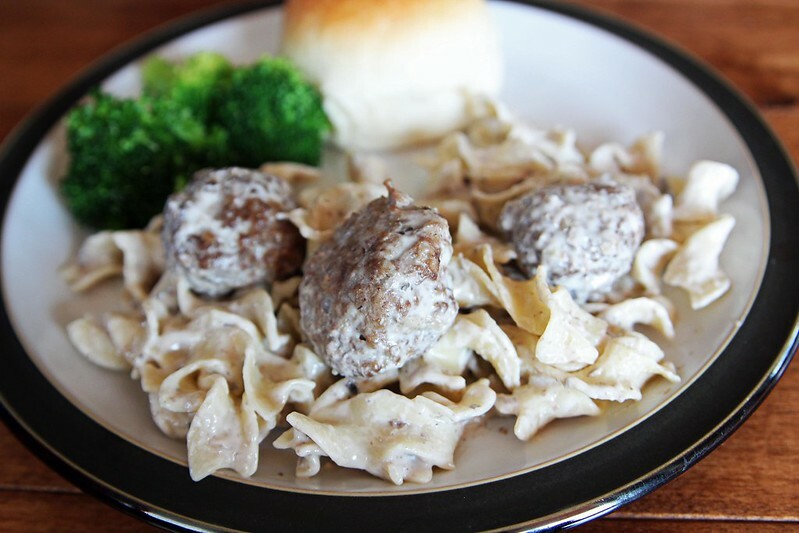 Cook egg noodles per package directions, drain and serve with meatballs and sauce! If you’d like to add mushrooms, fry them with some butter in a small frying pan and add to sauce. Comfort food with meatballs that are so easy to make you don't even have to get your hands dirty! Bake for 35-40 minutes, or until no longer pink in the middle. Again I apologize for the lackluster photographs. Honestly when I’m cooking during farming season I throw food on my plate, put it on the floor in front of my deck sliding door where I have the only, but too much, natural light left at supper time. Then I think things like “Uh oh, forgot to make iced tea for the crew…that picture is good enough to throw on my blog, right? !” and carry on! This looks great! I plan to make it tomorrow for the harvest crew. Have you ever made it all and then mixed it together in a crock pot to take to the field? I'm trying to decide how to get this to the crew the best way and keeping it warm. I think it would keep warm in the crock pot great!